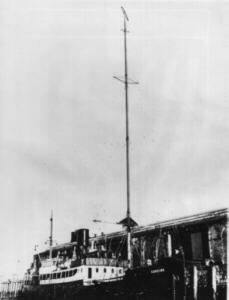 The ship which became Radio Caroline North was the original vessel to drop anchor off the Essex coast in England and pioneer offshore commercial radio in Britain. 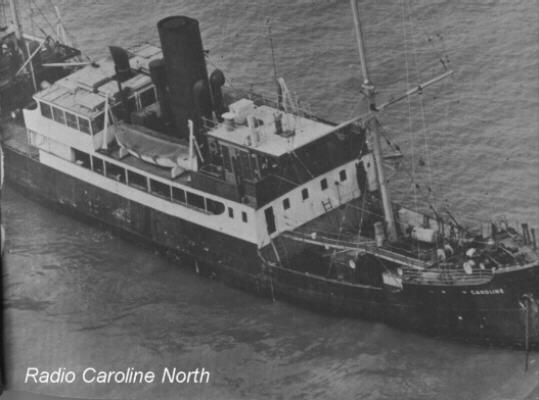 She began broadcasting as Radio Caroline "your all-day music station" on Easter Sunday 1964, but was joined about a month later by the MV Mi Amigo which started broadcasting as Radio Atlanta on 9/5/64. 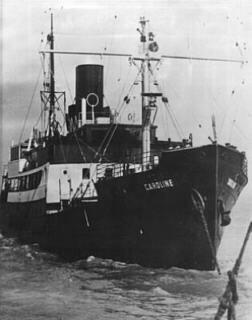 A merger took place and the MV Caroline sailed north to become Radio Caroline North anchored off Ramsey Bay in the Isle of Man while the MV Mi Amigo stayed put and broadcast as Radio Caroline South. The music policy was initially quite varied, from pop to easy listening and featured many sponsored programmes hosted by top stars. The DJs quckly established themselves as favourites with the listeners and many of them are still in the industry today, e.g. Tony Blackburn, Dave Lee Travis and Johnnie Walker. 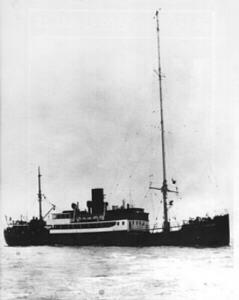 The museum has many recordings of Radio Caroline North, including the station broadcasting as she sailed north to the Isle of Man. 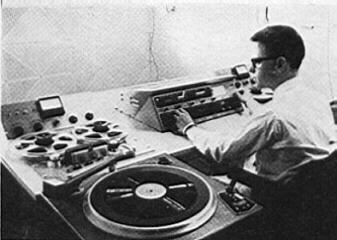 In the main studio, Radio Caroline North. An original 1964 Caroline car sticker. MV Caroline docked at Greenore, Eire, after fitting out. A Caroline Club information sheet. A Caroline Club car sticker. A Caroline Club welcome letter. MV Caroline at anchor off the Essex coast ready to transmit. A later Caroline car sticker. MV Caroline at her later anchorage off Ramsey Bay, Isle of Man. A Radio Caroline letter heading.